10 Station Commercial Multi Gym. Strong Square Steel Frame (75x50x2 mm) (60x20x2 mm) With 306 Kg Steel Weight Stack Covered With Rubber..
High Density Upholstered Seat & Back Rest Pads With Seat Height Adjustment. 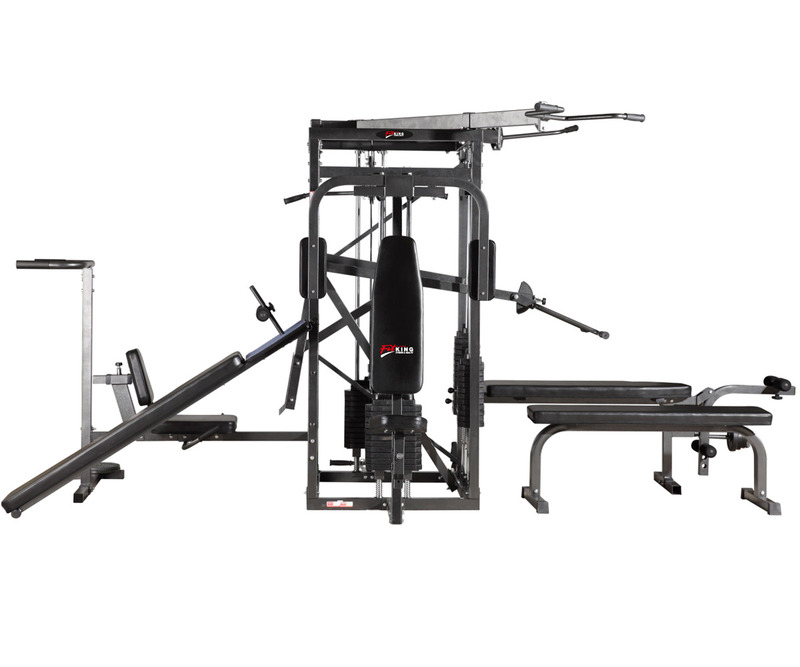 Training Options: Leg Press, Chin Bip, Abdominal Crunch, Pec Flyes, Assist Dip Chin, Chest / Shoulder Press Pull Down Leg Extension, Standing Curl & Twister.